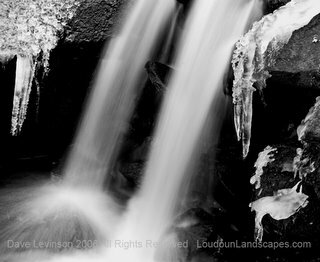 A mid-afternoon Appalachian Trail hike provided this icy falls photo today. It was taken West of Mt. Weather. Icy formations could be found in many of streams that intersect with the trail. It was a beautiful January day filled with sunshine, spots of unmelted snow and quiet hiking.